What: These stubby little dudes seemed to pop up everywhere back in the '80s/early-'90s heyday of little rubber guys. 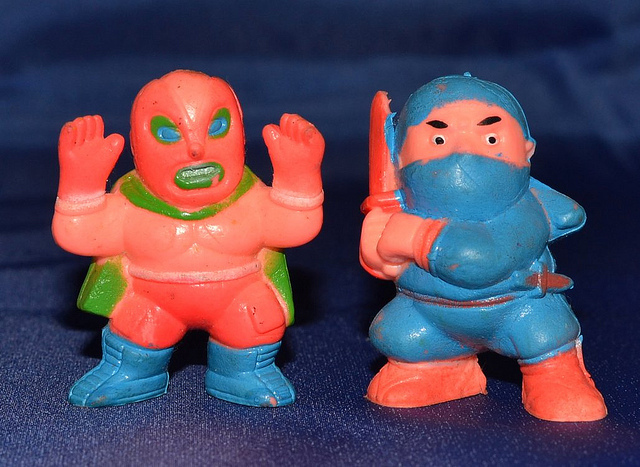 They're made of hard rubber and have painted details. They look a bit cheap, like something you'd get at the dollar store (and maybe you could, I can't remember), but that's part of their charm. I'm sure there are additional sculpts/variations beyond the ones I have. When: The figures are marked 1986.
Who: Produced by SOMA. I'm not sure if they're still around, but a search brought up this company. Possibly the same? Hi, I have come across what looks like the same figures with soma stamped on the bottom right foot but with no date. They are also all dressed like sports figures. Hey there--I know Soma made a variety of little figures like this, so I'd imagine they are just from some set they made that was sports-themed. Sorry I don't have any additional details to offer. I Just Came A Cross Some Soma Army Men From 1987 At A Garsale By My House In Spokane .Wash For $.50 For 7 Of Them Good Fine. 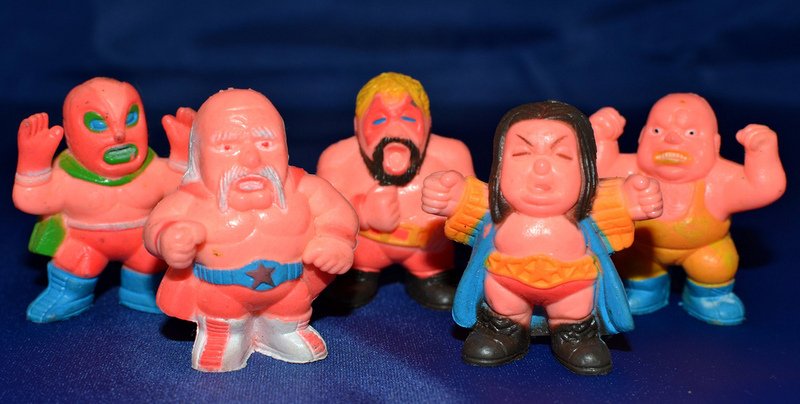 Back in the 80s a kid in my neighborhood had these a brought them out to play with..i loved these..long story short..they came home with me.. I would like to buy the Soma Ninjas. How can I do it ? ?